Brewer – Len Bilén's blog, a blog about faith, politics and the environment. 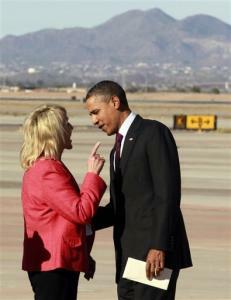 Obama did scold Mrs. Brewer. She is head of State, respect due her. Defend her State’s rights when they sue her.